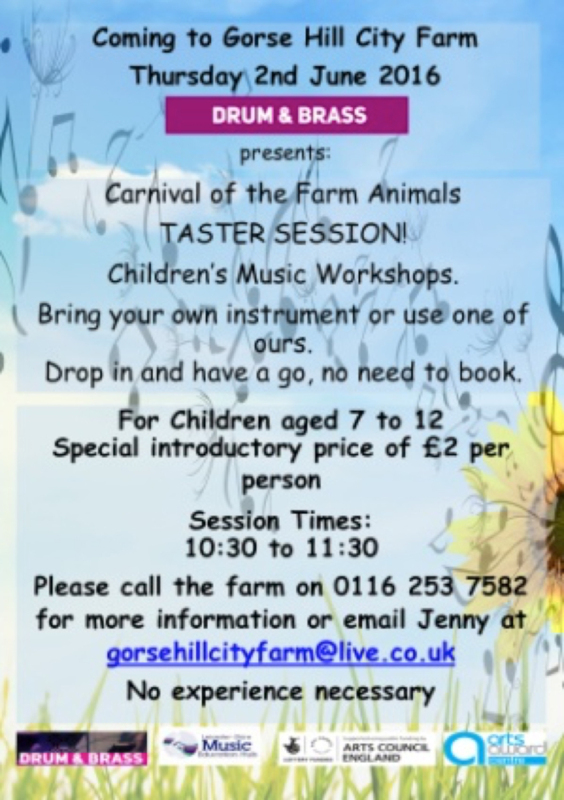 Children’s music workshops at Gorse Hill. Free taster session. Join experienced musicians down on the farm to create and perform your own music.